Boko Haram may have been behind bombings in Nigeria. 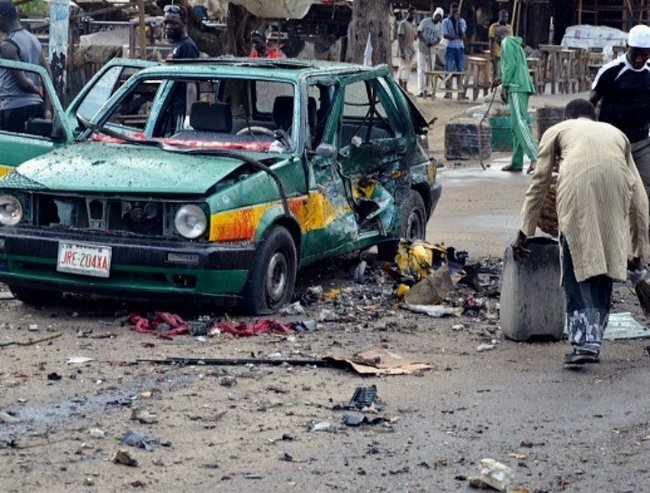 Two female suicide bombers have carried out an attack in Nigeria. 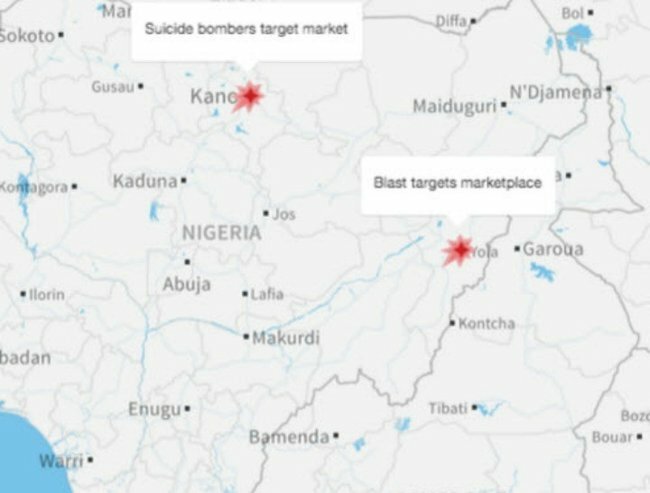 Two female suicide bombers blew themselves up at a mobile phone market in the Nigerian city of Kano yesterday, killing at least 12 people and wounding 60 more. It is the second attack in the country in as many days and follows a blast in the city of Yola, which killed 32 and injured 80 others on Tuesday. Red Cross officials believe that militant Islamist group Boko Haram may be behind the bombings, according to Fairfax. The attacks took place in Yola and the country’s second-largest city, Kano. 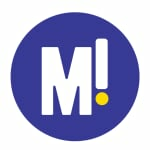 Image: Twitter. The group, whose aim to create an Islamic caliphate in Nigeria’s North-East, have killed thousands of people in the last six years and potentially more than 1000 since President Buhari vowed to defeat them in May. “President Buhari reassures Nigerians that his administration is very much determined to wipe out Boko Haram in Nigeria and bring all perpetrators of this heinous crime against humanity to justice,” presidential spokesman Garba Shehu said. Facebook activated it’s new “Safety Check” feature following the first bombing, after administrators were criticised for implementing the feature after Friday’s attacks in Paris, but not those in Beirut on Thursday. “After the Paris attacks last week, we made the decision to use Safety Check for more tragic events like this going forward,” CEO Mark Zuckerberg wrote in a post on his wall. “We’re now working quickly to develop criteria for the new policy and determine when and how this service can be most useful.